This Puzzle Parking Logic Problem is for Genius Mensa Minds. In this Parking Puzzle, you are shown one car parked at the parking lot in the given puzzle picture. Your have to observe this picture carefully and use your high IQ to find out on which number this car is parked. 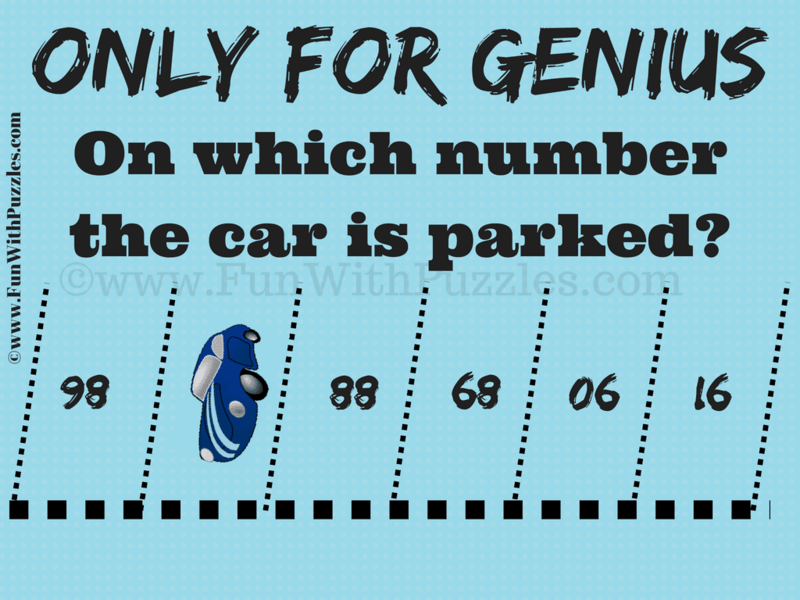 This Parking Puzzle is for Genius Minds. 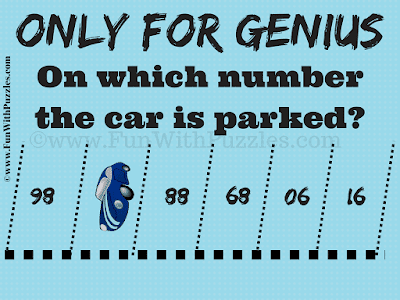 Consider yourself among the 1% genius minds if you can solve this parking puzzle! On which number the car is parked? Answer of this "Puzzle Parking Logic Problem for Genius Minds", can be viewed by clicking on button. Please do give your best try before looking at the answer. Turn the picture upside down to understand the answer. The Parking slots are marked as 86, 87, 88, 89,90 and 91.